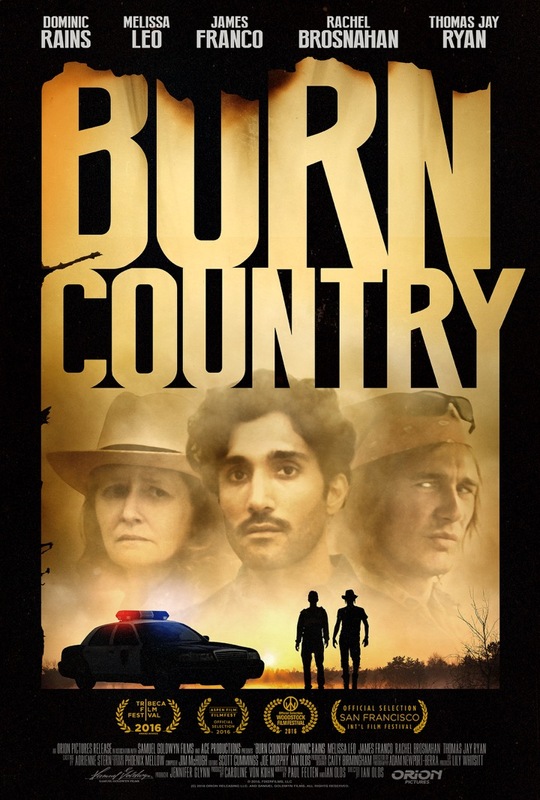 West Sonoma County's most recent feature film, Burn Country. An exiled Afghan journalist moves to Sonoma County. When he tries to rise above his menial job on a police blotter by covering a local crime along the Russian River, he's drawn into a world he never expected. Filmed on location across West Sonoma county, featuring scenes filmed in Guerneville, Monte Rio, and around the Russian River. Opening screen filmed inside the Rio theater (don't be late for this one!). Starring: James Franco, Dominic Rains, Rachel Brosnahan, and Melissa Leo. Directed by Sebastapol's Ian Olds. Film Times: Saturday February 17th at 430pm and 730pm.